A chalky two days ensued in harness stakes on a full September weekend. As the temperatures cooled, so did the win prices, which were, for the most part, set by the betting public at Mohawk, where the focus lighted most of the stakes. Vernon Downs came into play, as does Harrington, though the latter takes place Monday (see our Thursday blog for the Harrington event). We didn’t expect bloated prices from some of our choices, since a few horses laid over their fields. Such was the case with our first winner, Father Patrick, in the “Wellwood” final Friday night at Mohawk. He paid $2.20. Over at Vernon on Friday, our Muscle Hill choice, D’orsay, part of a choice entry, won as we predicted, regardless of his outside post, paying $4.50. That price was actually generous considering his stablemate Maven was included in an entry. Our other stakes choice at Vernon, Mister Herbie, was third at 14-1. Saturday, our pair of winners at Mohawk in Grand Circuit stakes were both hammered by the public. Luck Be Withyou won and paid $3.40, while Precocious Beauty won and paid $3. 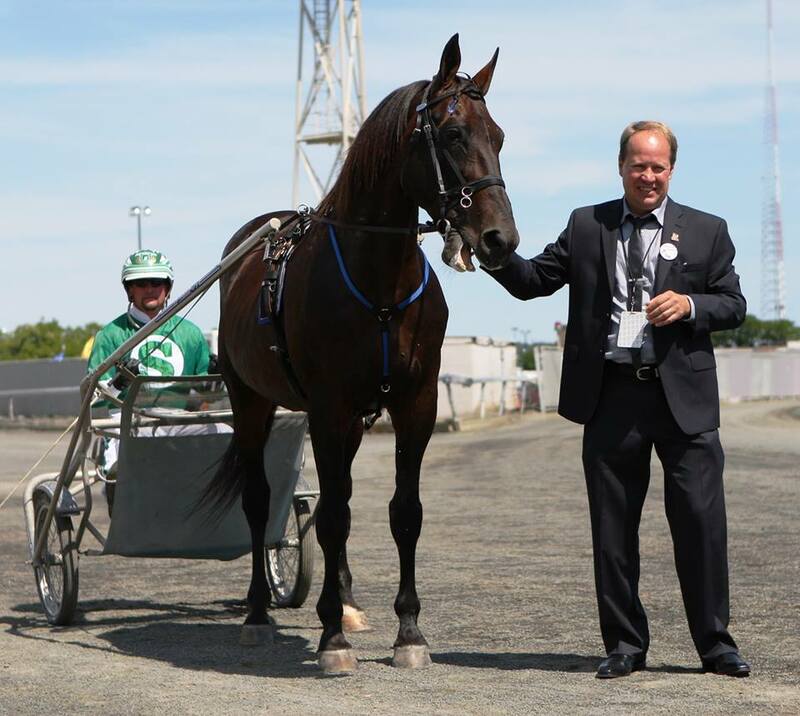 Our Canadian Trot Classic elim choices both tanked to first or second choices. Hambo-winner Royalty For Life was second to a 9-2 shot. Corky, in the other elim, was fourth to a 3-5 shot. Horses-to-watch list winners were slim this week, with a lot of our contenders coming in second and third (see below). Notes – Cladslastimpression paid $29.40 to place. You may have read it in this blog first and now it is official: Captaintreacherous will skip racing in The Little Brown Jug. Connections called the decision a matter of “long-term interest” in the colt’s sophomore season campaign. The fabulous colt certainly doesn’t need a “Jug” crown to validate his presence this season. He has been super for his connections, the sport and for bettors by paying remarkable prices that exceeded his chances in every one of his races (he lost only one, by a whisker). The Jug meet at the Delaware, Ohio County Fair begins next Sunday, Sept. 17 and goes through Thursday, Jug day, Sept. 19. We will be covering the Jug and other big stakes on the speedy half-mile, hosting all day cards, here on TwinSpires. We at TwinSpires are hoping that speedy recoveries become the conditions for Cat Manzi and Jeff Gregory. The drivers remain hospitalized at press time from injuries suffered in a startling racing spill occuring in the fourth race at Freehold Raceway on Sept. 6. Manzi, according to his wife Ellen, suffered breaks on both sides of his pelvis and was in a lot of pain. Gregory underwent surgery to repair a broken left elbow, according to his wife, Helene. This journalist’s coverage of Hambletonians goes back more than 20 years and includes on-site reporting of the 1991 classic, won by Giant Victory (pictured left with trainer Per Ericsson). The trotter died of natural causes at the age of 25 last week. The son of Super Bowl also won the Breeders Crown at three and went on to serve stallion duties in 1992 before being exported as a stud to Italy in 1997. His progeny collectively won over $9 million. Trotter and sire Earl passed away at the age of 26. A winner of 35 races and over $984,000 in his career, Earl won many divisional titles and the 1993 Breeders Crown at Mohawk, the 1994 Maple Leaf Trot at Woodbine and the American National at Sportsman’s Park. 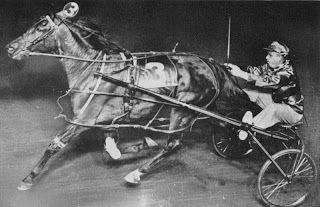 When he retired, he was the Canadian record holder on a seven-eighths mile track (1:54.2s), a five-eighths mile track (1:55f) as well as the co-holder of the world record on a half-mile track (1:56), which he held with the great Mack Lobell. Earl sired two millionaires: JM Vangogh and mare Earl Of My Dreams. His North American sire stats show progeny earnings of nearly $32 million. Earl’s stallion career continued in New Zealand where he boasted $6.4 million in progeny earnings. I read your article and I think it is an exceptionally useful bit of reasoning. I seek your article is simple after the peruser and individuals to visit your website over and over and give a decent supplement to your blog and here is esy to browse bestessays review for good work. It is a gigantic bit of work that you shred. Wanna write the best short essay in your life? Check this post https://essayclick.net/blog/short-essay for a simple explanation.